Silver Spring Neighborhood Center offers child care, education, food pantry, hope. 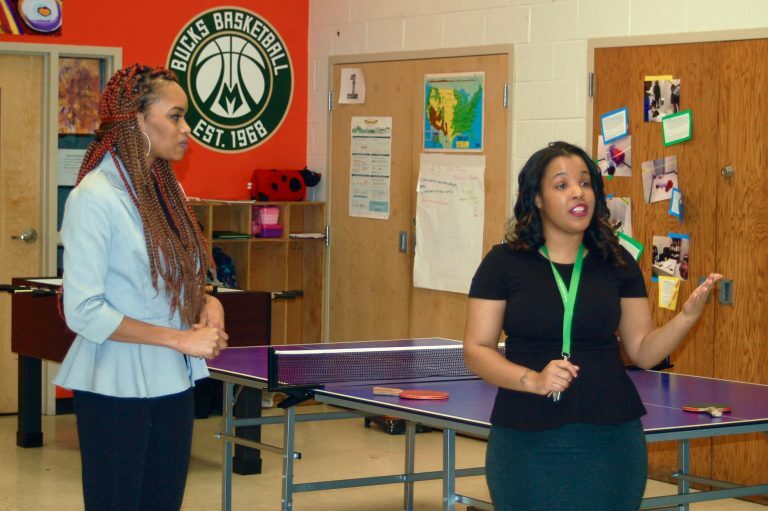 Darla Honeycutt (left), teen girls social development director, and Kailyn Jones, youth and teen program coordinator, show off the colorful room where participants in Silver Spring Neighborhood Center’s teen programming socialize, learn and play. Photo by Naomi Waxman. 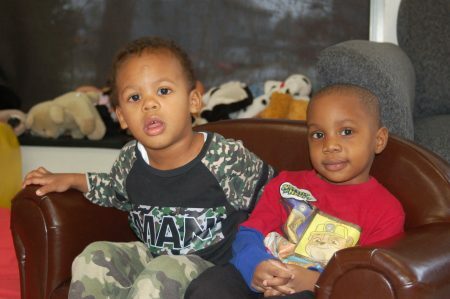 Aram Lester (left) and Nigil Foreman settle into a toddler-sized sofa in their classroom at SSNC’s Elaine Schreiber Child Development Center. Photo by Naomi Waxman. Thank you, keep up the good work. Employer 53218. Beautiful people, inside and out.